I have been looking at pre-demolition audits recently, but is this actually the right term? By calling it a pre-demolition audit, does this imply that the decision has already been made to demolish the building? If so, this could mean that valuable resources that could have been retained may be lost? So what could we do to prevent this? 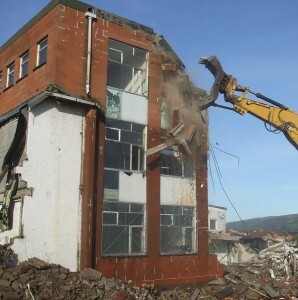 To answer these questions we need to understand the reasons behind a pre-demolition audit. If you look at the requirements for BREEAM, it states that a pre-demolition audit, should “…determine if……refurbishment/reuse is feasible…” This is a fundamental principle of the waste hierarchy and the circular economy model; if we can maintain materials in-situ for longer, this reduces the pressure on resources to manufacture new, and should also reduce the costs associated with disposal. Therefore, we should only consider demolition once it has been decided that the existing building cannot be reused, either in its entirety following refurbishment, or in part by retaining just the structure and remodelling a new building around it. Only once this decision has been made does the survey become a pre-demolition audit (if it is decided that the building is going to be totally or partially demolished) or a pre-refurbishment audit (if it is decided to retain most of the building). Our attention will then turn to what materials could be retained, reused, refurbished, remanufactured and recycled. The quantity of material that is generated from the demolition, or even refurbishment, of a building can be significant. A recent pre-refurbishment audit completed by Sustainable Construction Solutions showed that although the actual quantity of material likely to be removed only amounted to around 380m3 (around 400 tonnes), if you factor in bulking factors and air voids within the materials, then the total waste volume had the potential to be around 1,000m3! You would expect plasterboard to be high on the list of materials, and it was top for actual material volume. However based on waste volumes it slipped to third behind steel and timber. This was because the bulking and air voids with items such as mechanical and electrical equipment (M&E) and furniture were significant. For example when you dispose of ductwork in a skip it is mainly air, so unless this is crushed to reduce its volume, it could take up a hundred times more space than the actual material contained within it. We should be aiming to retain and reuse as much of the material as possible when looking to redevelop a building, and when we do have to remove materials and install new, we should be designing these to meet circular economy principles, so that they can be easily recovered and reused at the end of their life. 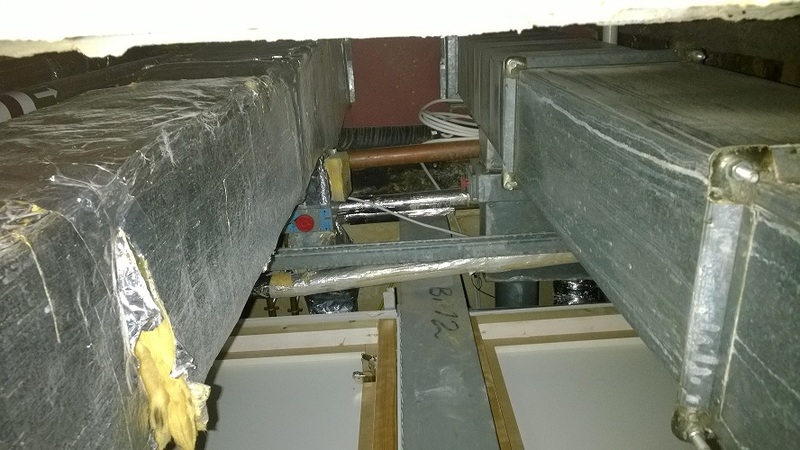 For example ductwork and heating/cooling pipework made up around 10% of the potential waste volume in the above example, so looking at options to retain this in-situ, if it is still able to meet the requirements of the new building, should be looked at. Furniture, another bulky waste which made up around 25% of the potential waste volume, should only be disposed of as a last resort where it is beyond repair. Reuse within the refurbished scheme should be the first choice, refurbishing as required, and where this is not possible, there are many not-for-profit and charitable organisations that will take away and refurbish furniture, and then sell it on for reuse to small companies and charities. Plasterboard waste still made up around 20% of the potential waste volume, generated by the demolition of partitions and ceilings. We should be looking at relocatable partitioning systems in the new scheme, if these are required, to reduce waste during the next refurbishment. As for ceilings we should be deciding on whether we need them at all, before looking at what could be used as an alternative to plasterboard. Potentially some of the ceiling tiles from the existing building could be reused in out of sight areas such as store rooms? So, going back to our first question ‘Is it a pre-demolition or pre-redevelopment audit?’, my opinion is that we should be terming these as pre-redevelopment audits, and ensuring they are carried out before any design work is started, so that the information obtained can be used to feed into the discussion when setting the brief for the redevelopment. If you would like us to carry out a pre-redevelopment audit on your building, that can be used to meet the Wst01 credit for BREEAM, please Contact Us.